Collections provide a location for uploading and organizing files, which will be selected for assessment via a Campaign. Collections can be organized by subject, topic, course, program, time frame, etc. 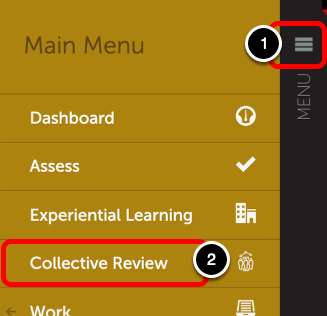 Files can be uploaded to a Collection directly from within the Collective Review tool by an Administrator, or from outside the Chalk & Wire system by other individuals (users or non-users) via secure URL. This help page will walk you through how to create a Collection so that you can provide a location for uploading files and organize them by the desired categories. 3. Click on the Collections tab. 4. Click the New Collection button. 5. Enter a name for the Collection. It is recommended that you include specific details related to the types of files that will be added to this Collection (program, subject, date range, etc.). This information will allow you to more easily identify collections of files you wish to send via a Campaign as well as organize your files into work sample categories. 6. Select the Department/Group for which you would like to associate the Collection.